"Mrs. L Blacker, 1797-1853, belongs to N. M. B. Scott"
Catherine Miller + Latham Blacker. in Dublin, as they were free of the "Beard patentee" and this mat isn't stamped. Catherine lived in both Dublin and London. befriended. But she also seems to be wearing a black bonnet as if she is in mourning. 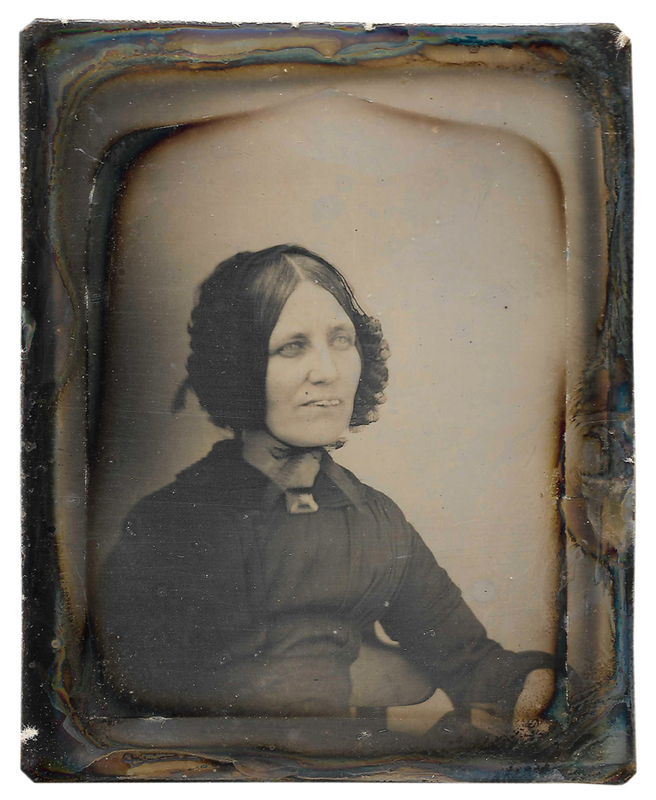 In 1848 she lost her father, when she was 51, so perhaps she had this photo taken then. 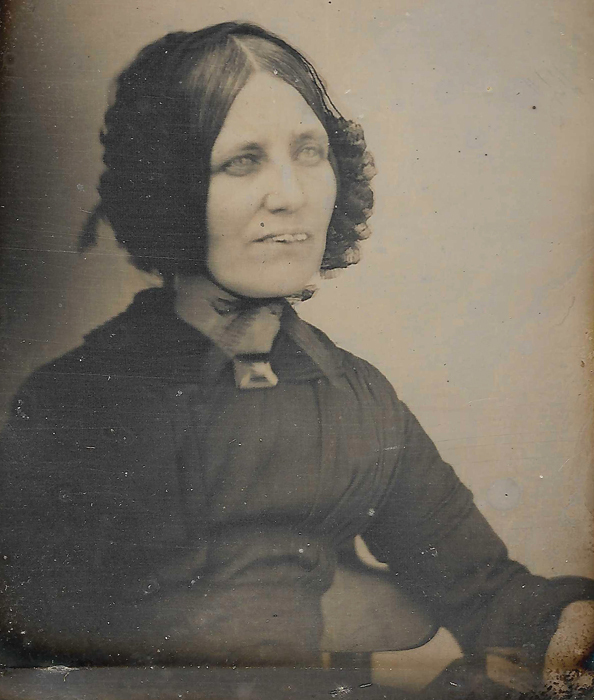 It's possible that Scott got this photograph after her death in 1853, as a memory to her. and her youngest was only 17 years old, so perhaps the other 2 had come along on her trip. They went from Cork to Dublin, possibly to visit family, on 5 October 1853.
to the train coming up behind them. They hoped the train might push them to the next station. Straffan Station. 18 out of 45 people died. like a walnut shell" and the coupee had been "cut in two by the collision", as the papers noted. inside. Surgeon Adams had her moved from the station to Dublin. Two months later Catherine passed away from her injuries, on 14 December 1853. She left behind her husband and their 7 children. On foggy days the stoker of the train can still be seen walking around with his red light.